Go to the movies in Méribel! 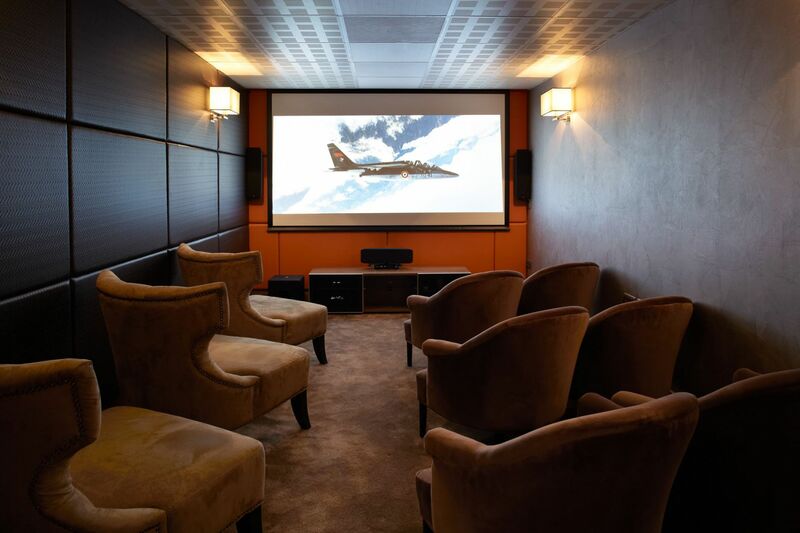 The Hotel Hélios is the only hotel in Méribel to offer a private cinema (about 20 films screened every week). This very intimate space has been designed to offer a very high quality audio environment. Warm colours on the walls and velvet seats welcome young and old for a film after a long day on the slopes. Well equipped, it also offers a venue for the organisation of corporate seminars.